Bearer is hereby granted permission by Fern Inocencio (owner/ photographer) to reproduce the images and make an unlimited number of prints, for personal use only. This permission applies worldwide. Bearer agrees that he/she may not use any SMOOCH FOTO images for commercial or editorial purposes, or enter any SMOOCH FOTO images into competition without the express written permission of Fern Inocencio. SMOOCH FOTO retains the copyright to all images. The images that are being provided to you are licensed to you for any reasonable personal, including but not limited to: printing, copying, emailing, and web publishing. Your license does not include use that results in financial gain, including but not limited to: advertising, stock photography, print sale profits, resale of any nature. Your purchase of the original files releases SMOOCH FOTO from any liability due to loss or damage of the images, and also releases SMOOCH FOTO from any obligation to maintain copies of any digital file, image, or photograph. 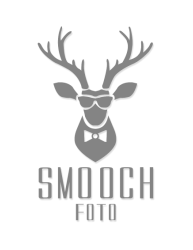 You hereby grant to SMOOCH FOTO the right to use and publish images and photographs taken at your photography session to further promote its service, including portfolio, web site, display, advertisement, and editorial use. SMOOCH FOTO agrees to limit the use of these images and photographs to promotional use only. SMOOCH FOTO may revoke this license at any time and for any reason. SMOOCH FOTO retains all copyrights to the images and derivative works thereof.